The NFL still hasn't announced the exact kick-off time, date and venue. The Tampa Bay Buccaneers will play in one of the NFL’s four games in London next season. The Buccaneers will play the Carolina Panthers at some point during next season. The NFL still hasn't announced the exact kick-off time, date and venue. 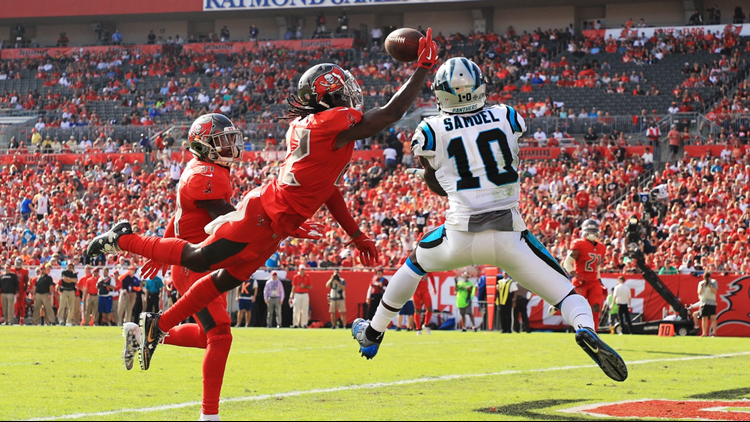 Tampa Bay will be the home team, meaning Raymond James Stadium will host seven regular season home games during the 2019 regular season. It’s also a requirement for Tampa Bay to host the Super Bowl in 2021. NFL owners agreed to the requirement in 2014. The game will be played at either Wembley Stadium or Tottenham Hotspur Stadium, according to the Buccaneers. Tampa Bay faced the New England Patriots at Wembley Stadium in 2009 and then returned there in 2011 to take on the Chicago Bears. Besides their two previous trips to London, the only other game the Buccaneers have played outside the U.S. was an August 2003 preseason contest in Tokyo. There are five international NFL games in 2019, including four in London and one in Mexico City. In Mexico City, the Los Angeles Chargers will host the Kansas City Chiefs next season.